I usually enjoy Michael Ondaatje‘s work – especially Divisadero and Cat’s Table, but The English Patient was also quite good. Imo, he seems to have been improving as he’s gone along. This time I’m going back to catch one from 2000 (thanks to BGL) and I’ve been looking forward to it, but not hyped, about it. 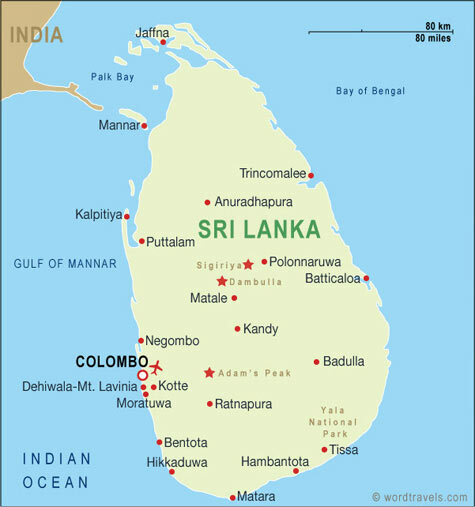 The setting is the Sri Lankan Civil War of the 1980s and ’90s when two separate forces fought the government and the government (and its extra-legal forces) fought back. That much is historical but I think most of the rest is fictional. Fwiw, Michael Ondaatje, now a Canadian, is originally from Sri Lanka. He left as a child – the child of “bourgeoisie” parents escaping the coming revolution. The Prologue, which is in italics, opens in Guatemala at the scene of a mine disaster where a woman named Anil works to dig up bodies. 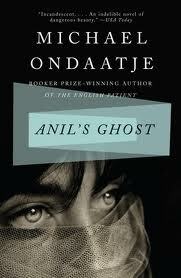 Chapter 1 is a kind of Sri Lankan homecoming for Anil who was a child swimming star some 15 or more years prior. Then there’s a switch to a short italicized section including a description of Cave 14 in the Shinxi province of China where there are (or were) mutilated ancient bodies. It seems the italicized sections denote back-stories and indicate the theme of death and identity and truth. The quote from page 8 (above) is in this brief italicized section, 3 paragraphs. Is all this background to show that butchery has gone on for as long as humans have warred? That nothing is sacred- there’s always an afterlife and a back-story? Anil Tissera is a 33 year old single woman who is a native of Sri Lanka – she left the island at age 18 and has not returned until this time. Her parents are dead and her brother has also left. As a forensic anthropologist, she has been selected as the Human Rights member of an international team investigating the deaths on Sri Lanka. That’s why she’s there. Almost immediately upon arrival Anil meets Sarath, an archeologist and the Sri Lankan government member of the forensics team. They may be looking to protect themselves and may not be above mass murder. The forensics site will be the old ship Oronsay which is permanently docked in the harbor. (This is the ship which Ondaatje used in his later novel, The Cat’s Table – 2011). 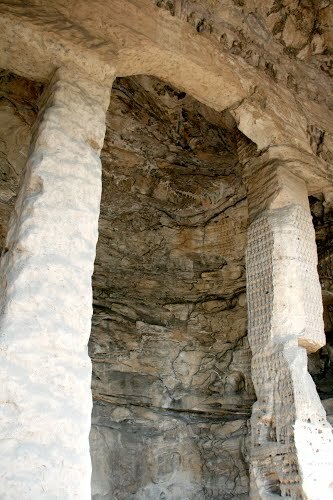 As the two dig in the ancient archeological sites, they find skeletons, some much newer than the dig’s contents – and one is of particular interest. They take the skull, nicknamed “Sailor” to Sareth’s old professor, Palipana, who is now living as a recluse in remote forested area – escaping or transcending history, politics and warfare. This is one of the loveliest parts of the book. As the book progresses it appears that everyone is suspicious of everyone else and the fear is for their lives. Even Sareth, who works for the government, is not above suspicion – and then his brother, a doctor, shows up. How much is the truth worth if it kills people? Where do we get truth from? Those are huge questions here. There are some Buddhist ideas woven throughout which work on that – is material truth at odds with a kind of spiritual truth – how do we know? Actually, I got a bit bored at about half-way through. There just isn’t much holding the book together, no real plot – just the themes of fear and murder and the questions, what ghosts do we carry with us? Of what value is the truth? I wonder if Anil isn’t seeking her own identity but has only part of herself to work with – She almost denies being a swimmer, but that’s how she’s known. Are all the characters doing that? Are the characters carrying ghosts? What is history, what is now? (This would not be a theme unique to this book in Ondaatdje’s oeuvre. Ondaatje has been criticized for staying aloof from the politics as well as for being far too involved in the politics (although that’s rather subtle). One critic wrote about the Sri Lankan Bourgeoisie who fled the revolution – including Ondaatje. The critic says there’s a lack of commitment “to history, legend, culture or ideology.” Along these lines another critic faults him for refusing to be drawn into the political issues. And Sri Lanka, like so much of the post-colonial world, searches for its own history, the place of the British, the Buddhists, the mixed races. Does it matter – does this determine who “owns” it today? Are there old grievances to be addressed? All that was on my mind as I read it, but Ondaatje dodges the normal post-colonial questions and even explodes the idea that Buddhism transcends the conflicts and the history. Politics, religion and identity are all mixed together here. Ondaatje examines identity as both a “construct” and a “process” in that the moves beyond the concept of a postcolonial literature of “resistance” into an area that requires a theory of process rather than product. Sandeep Sanghera discusses questions which make Ondaatje’s novel a text about postmodern identity: who is this woman Anil who lives mostly in the West, travels on a British passport, works for an international organization, and no longer has any real ties to her first home? In the paper, these questions are examined via the languages Anil adopts and abandons in the novel. Sanghera elaborates on the question of foreign-ness represented by the protagonist of the novel; however, this foreign-ness is examined in the particular context concerning the substance of family and kinship as well as language and nation. Sanghera’s analysis represents the questions and thoughts of readers who are themselves migrants between languages and homes. Marlene Goldman suggests that at first glance Ondaatje appears to promote the idea of a Sri Lankan Buddhist faith as transcending history. Ondaatje introduces the subject of Buddhism early on in the novel, emphasizing initially the devastation wrought by imperial and colonial forces. Goldman, however, argues that subsequent references to Buddhism undermine the initial portrayal of a religion besieged by external imperialist forces. For example, at one point, the character Palipana refers to the assassination of his brother, Narada, a Buddhist monk. Narada was possibly the victim of a “political killing” and rumours suggest he was killed by a novice and thus his death recalls the historical connection between the JVP (termed “the antigovernment insurgents” in the novel) and young Buddhist monks. Goldman argues that rather than offering a sanitized account that ignores Buddhism’s enmeshment in politics, Ondaatje’s novel addresses the complex relationship between religion, politics, and violence in Sri Lanka. “By drawing (very) close connections between Palipana and the real-life figure of Paranavitana, Ondaatje underscores how myths of racial superiority and national unity and purity developed in Europe in the nineteenth century, along with other “gifts” of the colonizers, influenced readings of Buddhist sacred chronicles and became intertwined with notions of religious and political identity in Sri Lanka. Love this discussion! See the above link for more.